Jellyfish stings are common in Florida and may or may not need medical attention. Jellyfish stings are a common problem for people swimming, wading, or diving in seawaters. The long tentacles trailing from the Jellyfish body can inject you with venom using thousands of microscopic barbed stingers. Jellyfish stings vary greatly in severity. Most often they result in an immediate stinging pain with redness, leaving irritated marks on the skin. Some Jellyfish stings may cause more whole-body (systemic) illness which is life threatening such as a Box Jellyfish. These Jellyfish stings are life-threatening. But the vast majority of stings are minor. How do I know I’ve been stung? Treatment: Most Jellyfish stings get better with home treatment. Severe reactions require emergency medical care, call 911. The best treatment for you depends on the type of Jellyfish that stung you. In general, most stings can be treated easily by rinsing the area with salt water to remove tentacles to prevent further release of venom and then immersing the affected area in hot water. Excess rubbing of the skin will fire more Jellyfish venom into you from the barbs embedded in your skin. Applying undiluted vinegar has been scientifically proven to deactivate the toxin in the barbs. If you are lucky enough to have some at the beach use this first. Then you may pluck out the barbs with tweezers or get a product called “Sting No More” which contains Vinegar and highly concentrated Urea. The Vinegar deactivates the barbs and the Urea help them wash off. The Urea in human urine is of too low a concentration to work on Jellyfish Stings. How can I prevent being stung by a jellyfish in Florida? There are a couple of ways you can protect yourself from a Jellyfish sting. These include, wearing a protective suit, talking with lifeguards and monitoring their flags and warning before swimming or diving in coastal waters, especially in areas where Jellyfish are common. There are products, commonly mixed with sunblock that are advertised to help prevent Jellyfish and other stings, but their benefit is unclear. Avoid entering the water during Jellyfish season. Being stung by a Jellyfish is normally not life threatening but if you experience severe symptoms seek medical care immediately. See our Physicians and P.A.s at Doctors Urgent Care for the highest quality medical evaluation and treatment. 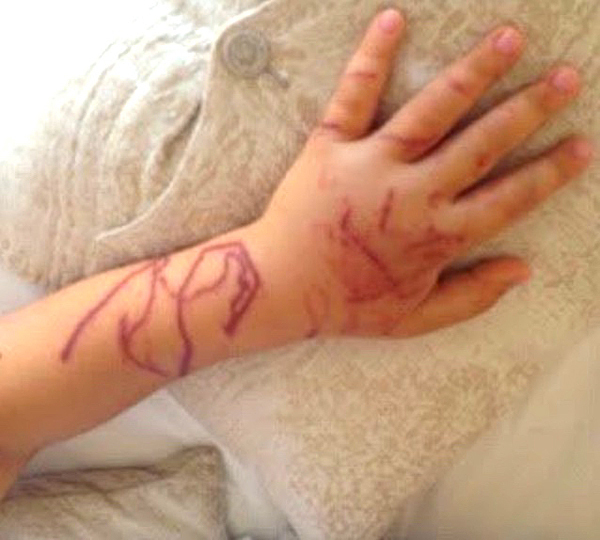 We are familiar with and treat jelly fish stings.